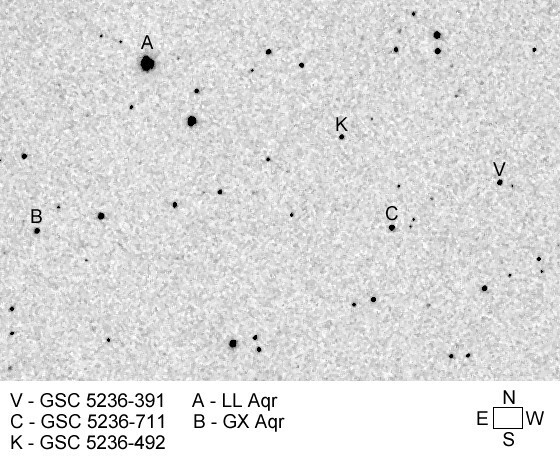 While observing LL Aqr, the variability of GSC 05236-00391 was recognized. 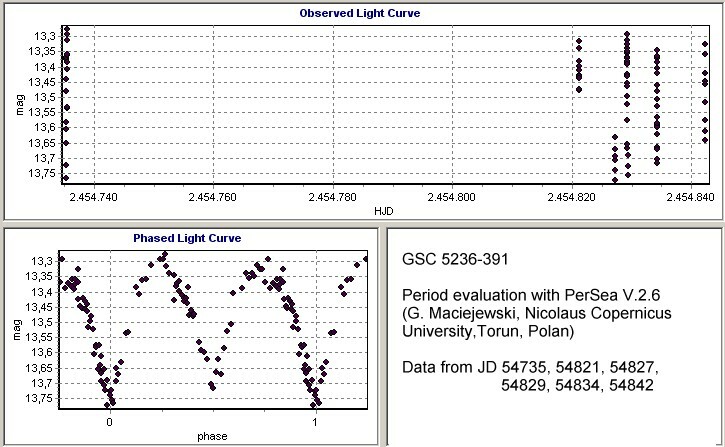 The presented results are based on observations from 6 nights between 25 September 2008 and 10 January 2009, performed with a Schmidt-Newton 6" telescope and a Meade DSIProII CCD camera, through a Schuler V filter. The comparison star was GSC 05236-00711; GSC 05236-00492 was used as a check star. Our provisional analysis of this star in the NSVS (ROTSE-I) and ASAS-3 sky surveys resulted in very similar light elements.